A visit is worth a thousand pictures. 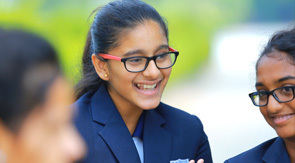 If you’re interested in Manchester International School, We encourage you to see with your own eyes the people, environment and sense of community that make Manchester International School a little different in all the right ways. Our friendly and specialized Admissions team is here to support you. Whether you are looking to join us from a different country or from a local school, transition can always be challenging, so we have hold up and expertise on hand to help you every step of the way. We want you to see our school in action during the school day. Our Admissions office is open from Monday through Saturday, 9.00am to 5pm. on the other hand, please call and leave a message on our answer phone, or send us an email, and we will respond as soon as possible.